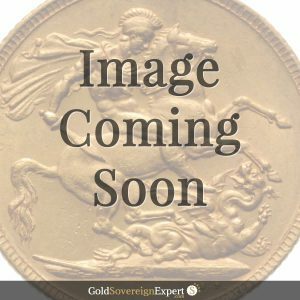 20 Swiss Franc ‘Vreneli’ Gold Coin. Price includes insured shipping. 2% discount on purchases using BACS. 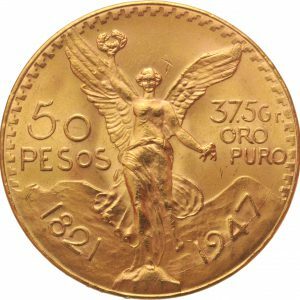 Commonly referred to as the ‘Vreneli’ 20 Franc gold coin, they were struck in large quantities from 1897 to 1949 and was the second of two designs struck by the Swiss Mint. 20 Swiss Franc coins are struck in an alloy of 90% gold and 10% copper. 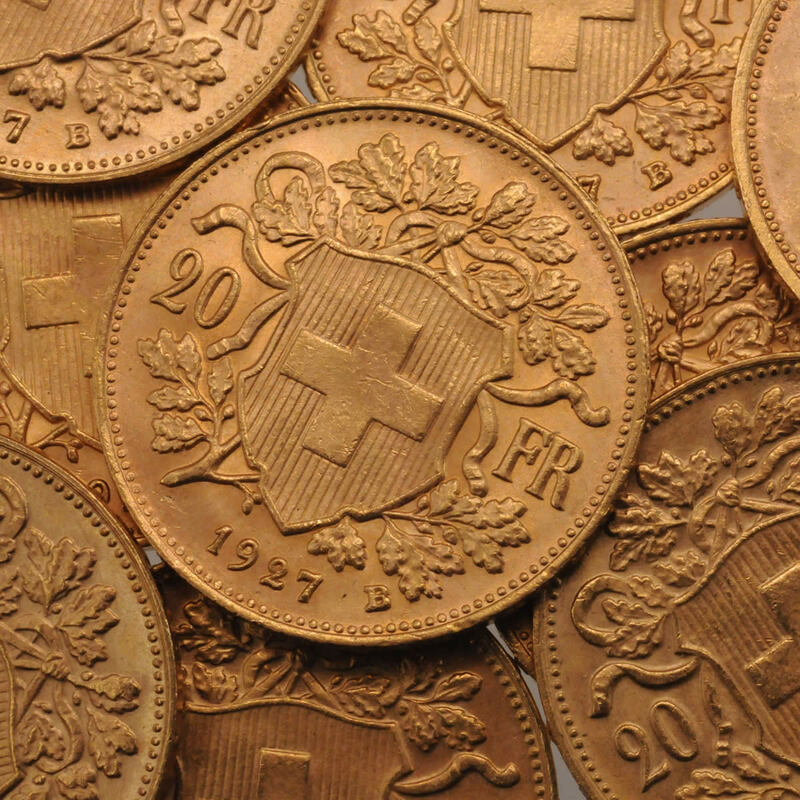 The Swiss Cross features in the centre of the coin in a crested surround. The ‘Swiss Miss’ features on the obverse with the inscription ‘Helvetia’ above. These coins are sold free of VAT and are exempt of Capital Gains Tax. Royal Mail Special Delivery is included in the price.